Yeah, I love blush. You know it, I know it… we all know it. I just love how it gives such dimension to the face, and a glow. 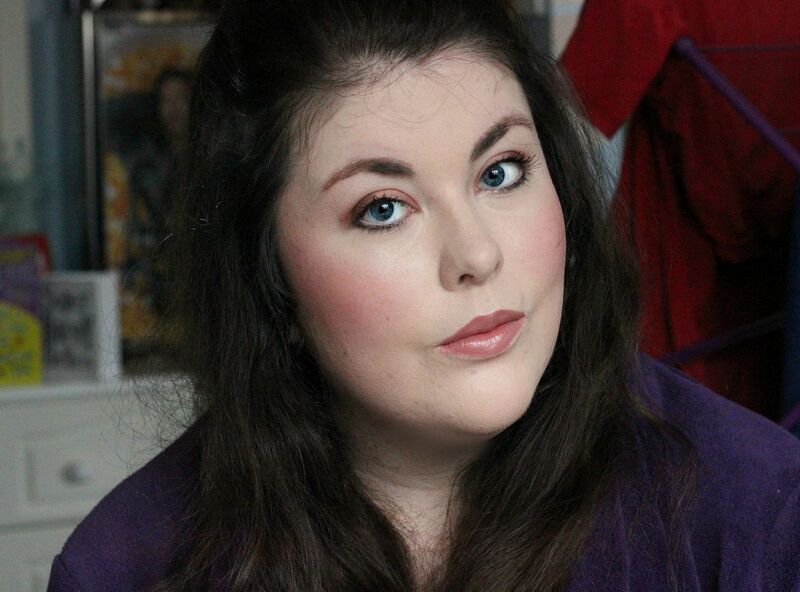 One of my favourite types of blush is that magically elusive shade that literally goes with anything. Something like Tarte Exposed (which is amazing). 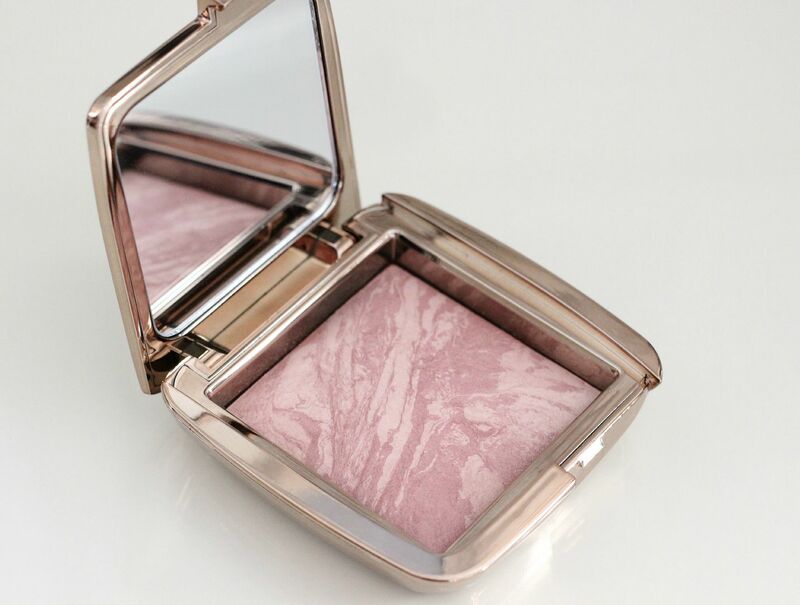 I picked up the Hourglass Mood Exposure blush when I had some points on my Space NK card – amazing – and spent ages in store looking at all the different swirly patterns. 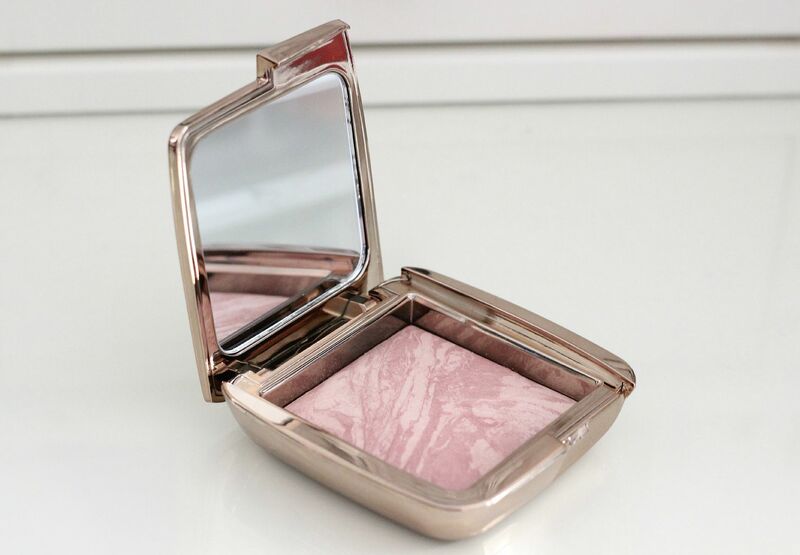 Each Hourglass ambient lighting blush is different, and so it varies between which one how much veining you get. They follow on from the much-hyped ambient lighting powders but also add a wash of colour. By the way, the Diffused light is amazing. Mood Exposure is a soft plum sort of shade, which one me pulls pinky plum. It has a little bit of peach, a bit of pink… it’s just so flattering. I’d say the colours are fairly neutral, so it will flatter your individual skin tone. I apply it with my NARS brush, and it’s so soft and blend-able. It’s nicely pigmented (ye have been warned) so I try to use a lighter hand than I did in the picture. Blush is so hard to capture on camera, amIright? On the skin it gives a really soft and diffused look, which really lives up to its ambient lighting powder qualities. The colour sort of magically helps to carve out some cheekbones as well as adding a lovely glow to the skin. It’s really one of those time-savers, do-it-all blushes. The best bit – it literally goes with any makeup look. Red lip, yes. Smokey eye, yes. Purple lip, yes. What do you think? What’s your favourite blush?